I want to work on something meaningful. Not only something for people to remember, but also to benefit them. This page offers a glimpse at my professional life, achievements, and results. I decided to dedicate my life to gastronomy and the restaurant business and I have been lucky enough to have gained your ear for my idea of good food. I thank you for that. Below, you will find information about my journey. You can also visit my Wikipedia profile. Lots of pleasure and fun, but hard work as well. Many miles traveled, many sleepless nights endured, many lines added to my face, but also the smile of satisfaction from the excellent results, enjoyed, first and foremost, by the guest of the restaurants. This show truly has meaning. Everybody can cook excellent food, at home, just like a professional. See for yourself. 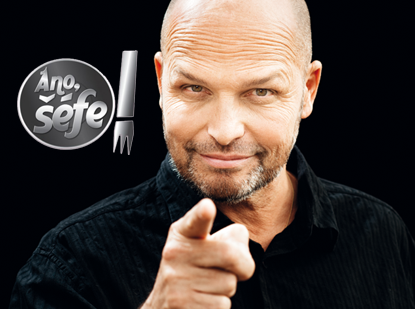 Watch new episodes of my cooking show Teď vaří šéf! on TV Prima. The true essence of cooking in its purest, crystalline form. Exactly the way I love it. Fresh air, fresh ingredients and a natural source of heat. No wonder that everything coming off a grill tastes so wonderful. Come and cook with me. Do you remember, let’s say, the French-style scrambled eggs from the “Vařte jako šéf!" show? 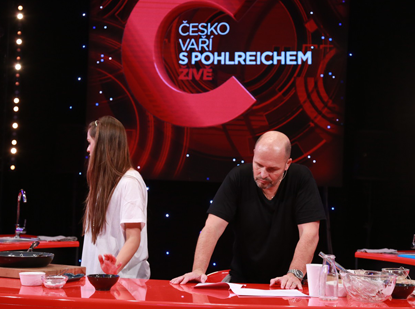 Well, that is exactly the recipe we did together LIVE on the TV Prima channel in 2013. That and many, many more. This TV show aired on the Czech Prima channel and took us all back to basics, so that we could work our way up to the big flashy stuff. 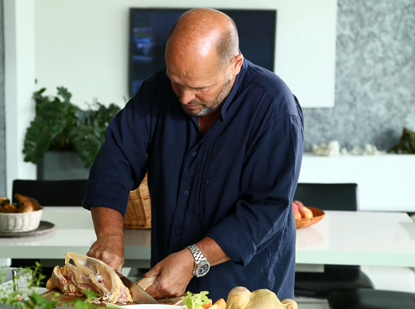 A cooking school, which guided the viewers on a journey from the ingredients to the proper techniques to combine them into amazing dishes. We Czechs love our grilling, but often let the wrong people give us advice on how to go about it. 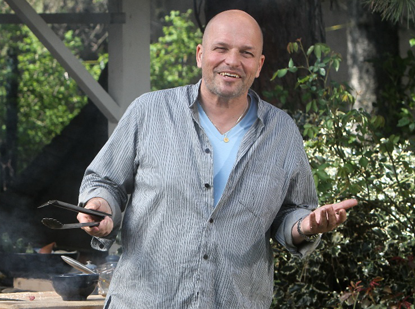 I know a bit about what and how to grill and I tried to pass that knowledge on to the viewers of this show aired on the TV Prima channel in 2011 and 2012.